I Scream, You Scream, We All Scream For.... Beer Gelato? Magnifico, bellissimo, or just rather brilliant? 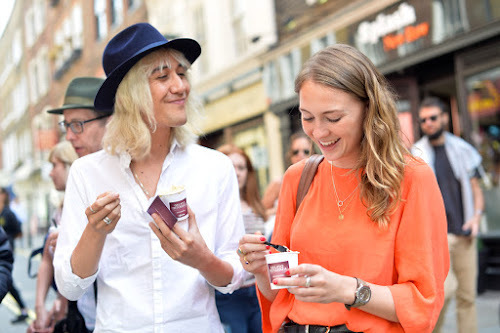 Italy’s oldest brewery, Birra Menabrea, and Covent Garden’s premier artisan gelateria, La Gelatiera, are to give new meaning to the phrase "fancy a cold one?" this Thursday, handing out 250 tubs of bespoke beer-infused gelato to lucky Glaswegians. The dairy-free, adults-only creation, flavoured with real ginger and Sorrento lemon to complement a base of well-rounded, moderately bitter Menabrea "Ambrata" lager, is part of an exclusive run of only 150 litres, which has seen sampling in London and Manchester over the previous two weeks. Menabrea will be pedalling their branded freezer bike between city centre locations, so those interested are encouraged to follow @MenabreaUK and search #GrownUpGelato to see where the bike will be throughout the day. In a crowded culinary landscape where once-exotic and improbable foodstuffs have become everyday items, Menabrea’s ‘Grown Up Gelato’ was designed to impress even the most jaded foodies as a unique synthesis of two fine Italian traditions – beer and gelato. The positive reaction on Twitter suggests the gelato has gone down a treat so far. The award-winning Menabrea brewery has brewed its signature lagers – a crisp, well-balanced blonde and a rich, hoppy amber – on the same Piedmontese site since 1846, benefitting from local Alpine spring water and a system of underground caves where the beer undergoes its 4-week ‘lagering’ process. The brewery, still in the hands of its founding family, has found a natural partner in La Gelatiera, winner of Top 50 Foods at the 2013 and 2014 Great Taste Awards. Drawing on the family traditions of Calabrian co-owner Antonio Parisi, La Gelatiera’s flair for experimentation and use of the finest natural, seasonal ingredients and traditional processes set them a cut above the rest. Says Aly Bayne, Menabrea UK Brand Manager, "Menabrea is a quality, authentic Italian product that’s full of flavour and steeped in heritage and we’ve really enjoyed collaborating on this project with the talented team at La Gelatiera, whose business embodies the best of another strong Italian tradition. 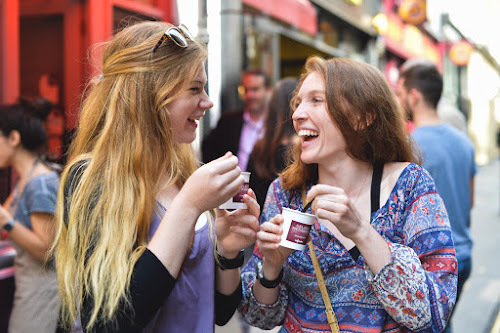 This creation has been a bit of fun for us but the gelato has proved to be a huge hit in both London and Manchester – and we’re sure it will be in Glasgow too!" 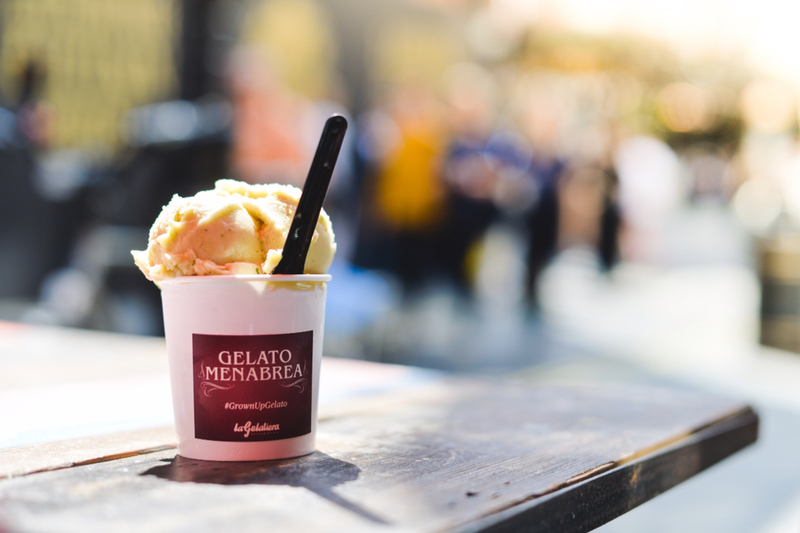 Stephane Leyvraz, co-owner of La Gelatiera, said of the project, "When Menabrea approached us with the idea of infusing gelato with their beer, they had our attention right away. We thrive on experimentation and pushing the boundaries of what’s possible in terms of flavour, while staying true to traditional methods of production that are the foundation of real, Italian artisan gelato. Of course, the better the beer, the better the gelato, and we’re very pleased to see how well it’s gone down with the public so far." When you ask for a ‘birra’ in the cafes and trattorias of Turin and Milan, odds are you’ll be served a cold bottle of Menabrea. The beer was introduced in its first major UK distribution deal late last year and is currently bringing a taste of authentic Italy to bars and restaurants across the country.